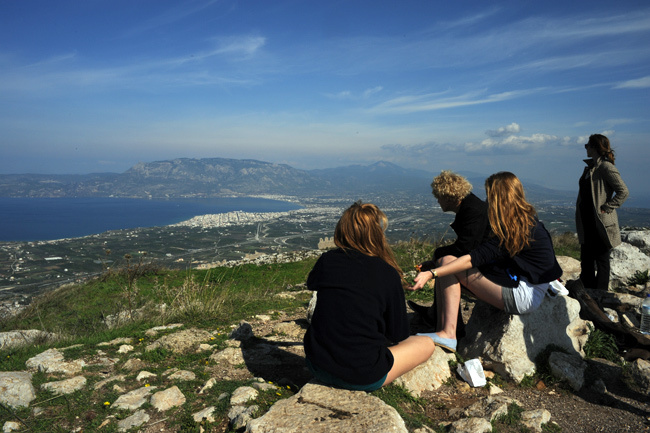 The Evia School also offers small guided tours of the ancient and medieval sites of Greece and its neighbours. The tours visit the famous sites as well as the smaller, less well known ones. They aim to cover all history from the ancient world, through Byzantium to the Ottoman period, as well as trying to give a feel of the modern and popular culture of the country. Literary sources will be used whenever possible. We stay in small hotels, selected for their character and location. The perfect number for these tours is eight people, although more or fewer people can easily be catered for. Ideally they consist of a group of friends or of one or more family groups. No itineraries are fixed and they can be adapted to suit the needs, experience and desires of the members of the group.